WHAT IS TRUE LOVE? 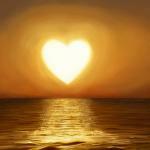 IT IS LOVING WITH YOUR SOUL AND TRUSTING WITH YOUR LIFE! IT IS UNEXPLAINABLE AND IT COMES OUT OF NO WHERE COMPLETELY UNEXPECTED WHERE IT'S HARD TO FATHOM; YET IT'S INTENSE AND ELECTRIFYING ALL AT ONCE AND EVEN MORE! IT IS OUT OF THIS GALAXY! 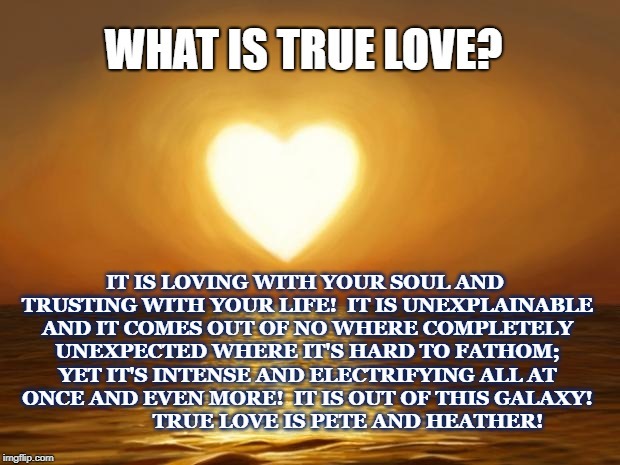 TRUE LOVE IS PETE AND HEATHER!